In honor of Earth Day, Google Earth has relaunched with architecture tours of some of the world's most famous buildings. Just in time for Earth Day (April 22), Google Earth has relaunched with a number of new features, the most stunning of which is a number of guided tours of buildings designed and built by famed architects Frank Gehry and Zaha Hadid. 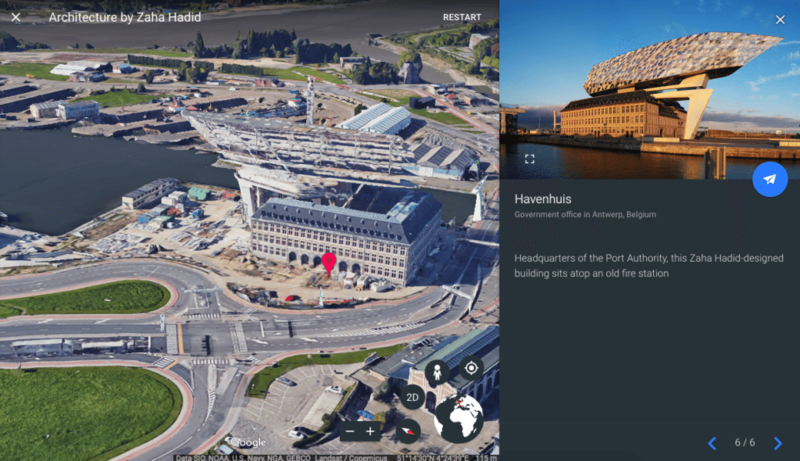 Architect buffs can access these tours through Google Earth’s ‘Voyager’ feature that provides 3-D and 2-D visuals, along with “Knowledge Cards” that give a brief history of each building. In addition to architectural tours, users can take tours of natural wonders such as the Galapagos Islands, Macchu Picchu and the Amazon. Currently, this feature is only available on desktop, but it will be coming to iOS and Android soon.